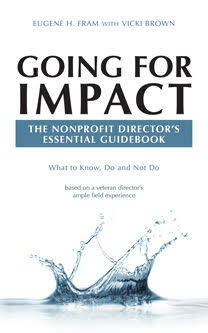 Board micromanagement is an appropriate approach when either a nonprofit or for-profit is in a start-up stage. Financial and human resources are modest, and the directors often assume some responsibilities normally executed by compensated staff. The chief executive often has managerial responsibilities as well as a list of low-level operational duties. As extreme examples, I have even seen CEOs install office furniture or install floor tiles. •	Less competent managers are attracted to executive positions – There is a tendency to promote people with good operational records work into key management positions. They may have even taken university courses in management or social dynamics but they fail to realistically implement what they have learned into the dynamics of the real world problems. •	Delegating Decisions Upward – Knowing that even small decisions will need to have board review, if not approval, the organization takes no pride in taking initiative, being creative and employing critical thinking. There is also a tendency to shirk responsibility. •	More Difficult Recruitment — When the board comes to the conclusion it needs more talented managers, the directors may have trouble understanding why talented recruits reject their offers. Sometimes a talented senior manger may take a position after negotiating an understanding that the micromanaging board will change or modify the way it operates. However changing such an imbedded culture can be difficult and sometimes impossible, if a founder has established a micromanagement environment for the board. Founders of both nonprofit and for-profit organizations can generate micromanaging boards that last for years beyond their tenures. Succeeding boards can be composed of directors who follow the founders’ management styles and are not capable of excising the unhealthy DNA surging through the organization. Board micromanagement in either nonprofit or business organizations, when continued beyond a start-up stage, can be can be viewed as an incipient disease. It, at any point, can cause a “heart attack” in the organization by restricting, managerial initiative, creativity, critical thinking and strategic planning.